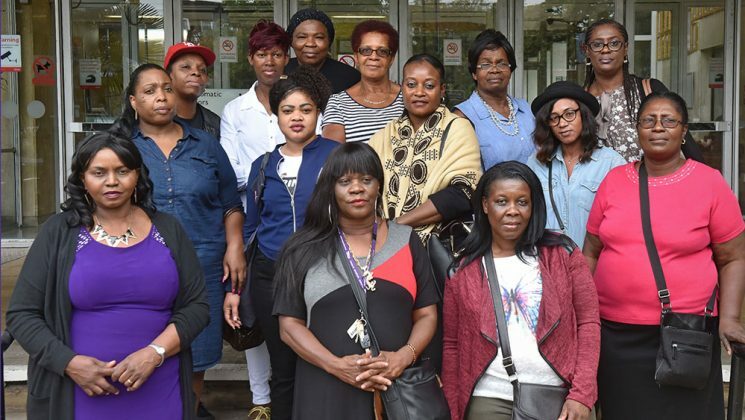 Seventeen homecare workers employed across the London Borough of Haringey – and backed by their union UNISON – are taking care company Sevacare and the council to court in a dispute involving illegal wages, over the widespread non-payment of the minimum wage. 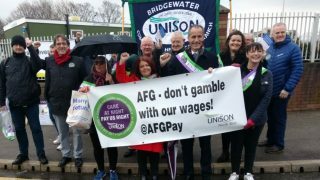 The group – all but one of whom are women – are employed on controversial zero-hours contracts and care for elderly and disabled residents across the borough. The women visit people in their own homes and in some cases provide 24-hour live-in care. The UNISON case – the biggest the union has ever taken involving homecare workers – is against Sevacare, which until July was one of the companies commissioned by the north London council to deliver care. The case against the two organisations – and a number of care companies who took over the contract abandoned by Sevacare – is chiefly over the failure to pay staff a legal wage, as time spent travelling between people’s houses was unpaid. This can mean, says UNISON, that on a typical day the women might be working away from home for as many as 14 hours, but could receive payment for only half of them. Care workers who provide live-in care can earn even less, claims UNISON. This work means regularly spending an entire week – 168 consecutive hours – living in someone else’s home so they give around-the-clock care. For this the workers can get as little as £3.27 an hour – well under half the legal minimum, and this hourly rate is printed on their payslips. The workers’ zero-hours status means most have previously been too scared to complain about their treatment, conscious that if they did, they were likely to have their hours reduced or be given no work at all, says UNISON. One of the women involved in the UNISON case compared her live-in weeks to being in prison because, during this time, she is not allowed to leave the house of the person for whom she cares. 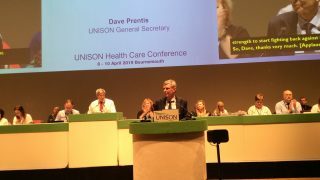 UNISON general secretary Dave Prentis said: “Without the dedication of these committed and caring women, and thousands of others like them across the UK, our care system would collapse. “The government, local councils and the care companies all know that social care is in a dire state, that there’s not enough money to pay for the care that’s needed. ‘And with everyone living longer the situation is going to get worse. “The blame for the social care crisis must be laid at the government’s door. “Ministers must get tougher with enforcing the law so firms aren’t able to cheat their staff. More money must be put into care so that councils are not forced to tender contracts at a price they know decent care cannot be delivered. “No wonder 15-minute care visits are now the norm, and there’s widespread payment of illegal wages. “Those paying the price for the government’s penny-pinching approach are the homecare workers – struggling to make ends meet on pitiful wages – and the people they care for. “Their often complex medical needs simply cannot be catered for within the short time allocated by the care companies. “Meanwhile the companies are coining it in. Last year Sevacare’s profits were over £1m, yet bosses thought it acceptable to pay its staff illegal poverty wages. “Unfortunately this sorry state of affairs is not unique to Haringey. Up and down the UK, the experience of other home care workers is depressingly similar. Until July, Sevacare was one of the biggest providers of adult social care in Haringey. A Channel 4 Dispatches programme in April had previously raised serious concerns about Sevacare’s employment practices. Evidence suggests that national minimum/national living wage non-compliance is endemic in the social care sector. A 2014 National Audit Office report suggested that as many as 220,000 homecare workers may be being paid an illegal wage. Nineteen local authorities – including Islington, Southwark, Camden, Greenwich and Tower Hamlets – have now signed up to UNISON’s Ethical Care Charter which can be found here. This guarantees hours for homecare workers, payment for travel time and hourly rates of at least the Living Wage Foundation’s living wage of £8.25 an hour and £9.40 in the capital. Earlier this year Sevacare was forced to settle a claim with Judith Montgomery, a former homecare worker from Bury. It had to pay her £3,250 following an employment tribunal claim that non-payment of travel time led her hourly pay to fall below the legal minimum. What kind of way is this to run a decent and compassionate care service?